Cascade just launched new #PureEssentials. 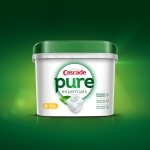 It packs the same dependable clean but with a simplified formula. CINCINNATI--(BUSINESS WIRE)--When it comes to their household needs, consumers are continually looking for products that they feel good about using for themselves and for their family, but they’re also seeking items that get the job done effectively and won’t let them down. They look for products that don’t require trade-offs, even when it comes to dirty dishes. 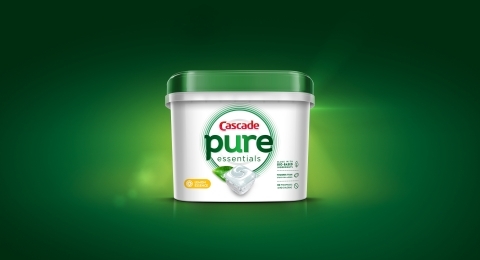 “The decisions consumers make at the shelf impact not only themselves but their entire family,” said Kristine Decker, Brand Director, North America Dish Care at Procter & Gamble. "We are proud that with new Cascade Pure Essentials, we are providing folks not only with an offering that they can feel good about but also with an item that provides them with a reliable clean so they can spend less time worrying about their dishes and more time focusing on the pure essentials in their life – like spending quality time with the ones that matter most." 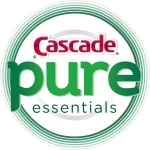 Packing the same dependable clean found in every Cascade ActionPacTM and formulated with biobased1 and other thoughtfully selected ingredients, Pure Essentials is Cascade's ONLY dye-free liquid detergent. 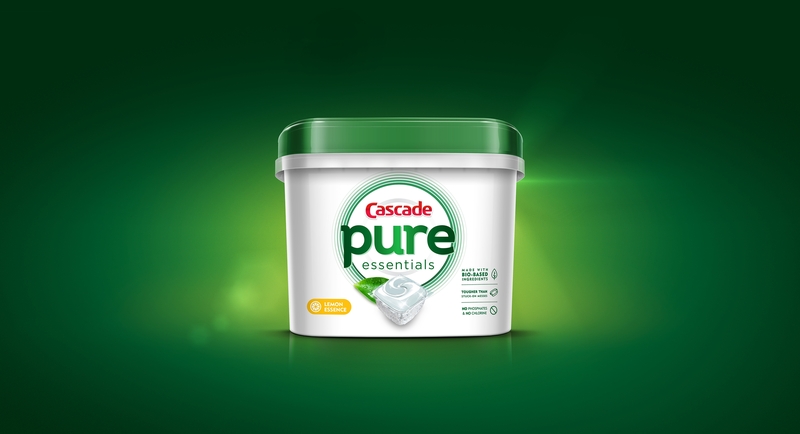 The Pure Essentials formula even cleans baked-on foods and is tough on stuck-on messes, which means you can skip pre-washing at the sink, doing your part to help save water. Perfumes in the formula are infused with essential oils that offer a light citrus aroma in two refreshing scents: Lemon Essence and Orange Blossom.